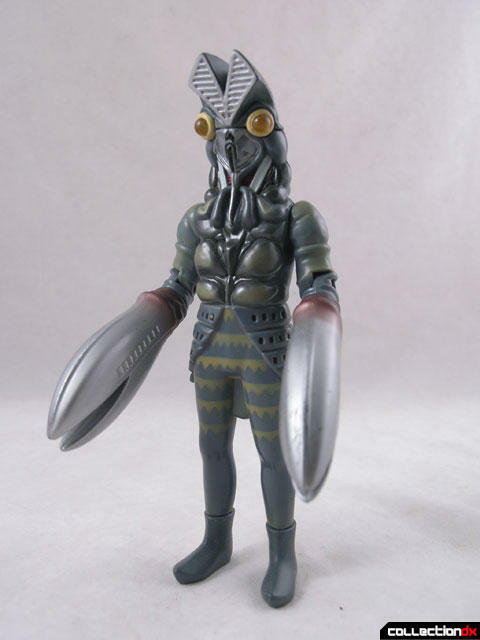 This Baltan is part of the Action Kaiju series, a line of light and sound activated figures by Bandai. 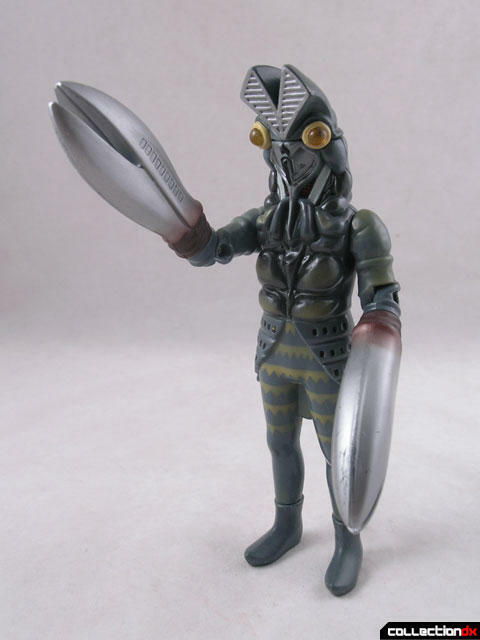 Baltan is considered one of Ultraman's most popular enemies. Baltan is actually one of a race of aliens who are bent on colonizing the earth. In Baltan's first appearance, He appears at human size, while the rest of his race are microscopic in size, inside a spaceship. The Baltan's true size is 50 meters tall. There have been several different renditions of Baltan, but this one is pretty well representative of the original character. 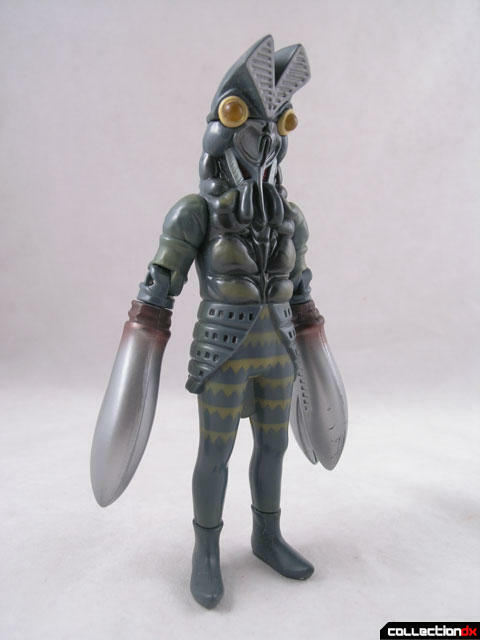 Baltan stands about 6” tall and is made out of ABS and PVC plastic. Articulation is limited to the shoulders, elbows and wrists. To activate Baltan, move the switch on his back to the “On” position. The toy requires LR-44 watch batteries, which are included. With Baltan powered up, all it takes to activate him is some sort of sharp movement, like placing him on a table. When this happens, his eyes light up and Baltan does his signature deep laugh. That’s all it does, and after a while, the noise gets aggravating. 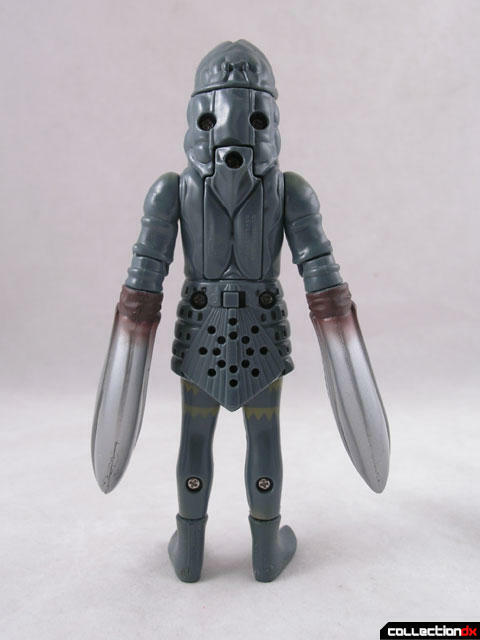 It’s fun for kids, but for collectors, you can get a better sculpt out of the soft vinyl.